Fog drifted in the air above the harbor. The slap of water against the sides of the boat became a counterpoint to the men’s pounding hearts. The guard on the wharf strode toward them as they pulled away from the dock. Robert Smalls held his breath as he waved a hand at the man. He prayed the lifting fog would be enough to hide their deception and save their lives. The guard turned back. Robert breathed a sigh of relief. The first hurdle of his plan had been passed. Robert Smalls, born in 1839 to a slave woman, Lydia Polite, and possibly fathered by her slave owner, Henry Mckee. When he was twelve, Robert’s mother insisted his owner find him a trade to learn. Robert went to Charleston where he held many jobs, but he loved the sea and began to learn about ships. From making sails to learning to pilot a boat, Robert’s lessons—and his knowledge of the Charleston harbor—would save his family and many others.. In 1856, Robert married a hotel maid, Hannah Jones. Robert was 17 and Hannah was 22. 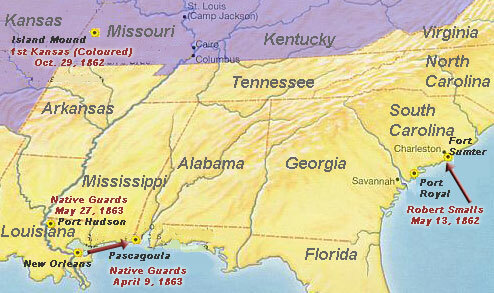 Hannah already had two daughters and by the start of the Civil War in 1861, she and Robert had a daughter and a son. One of Robert’s great fears was that of losing his family by one or more of them being sold off. He had the dream of being free with his family, which led to him risking everything to gain that freedom. crew and all were slaves. After much planning, Smalls waited for the perfect night to enact his escape. The multi-part plan included stealing the Planter from the well-guarded harbor, slipping into the North Atlantic Harbor to pick up Hannah, the children and a few others, then getting past Fort Sumpter without alerting any of the Confederate army that they were stealing the Planter. The night finally arrived. The Planter’s captain and the other officers in charge left the boat to go for drinks on shore. This was against regulations but was often done. With the fog rolling in, Smalls knew the guards would have a more difficult time discerning the people aboard. He volunteered to stand in as Captain. All of the men knew if they were caught, they would be put to death. Their wives and children would be sold, but they would die. For them, freedom was worth the risk. They left Charleston harbor and arrived at the North Atlantic Wharf. They kept the boat to a slow pace and didn’t have to stop as the women and children boarded. They got them below and headed to the next obstacle, passing the Fort. Smalls donned the Captain’s hat and as they came to the fort, he gave the signal on the whistle—two long blows and one short one. The sentry yelled to them and let them pass. 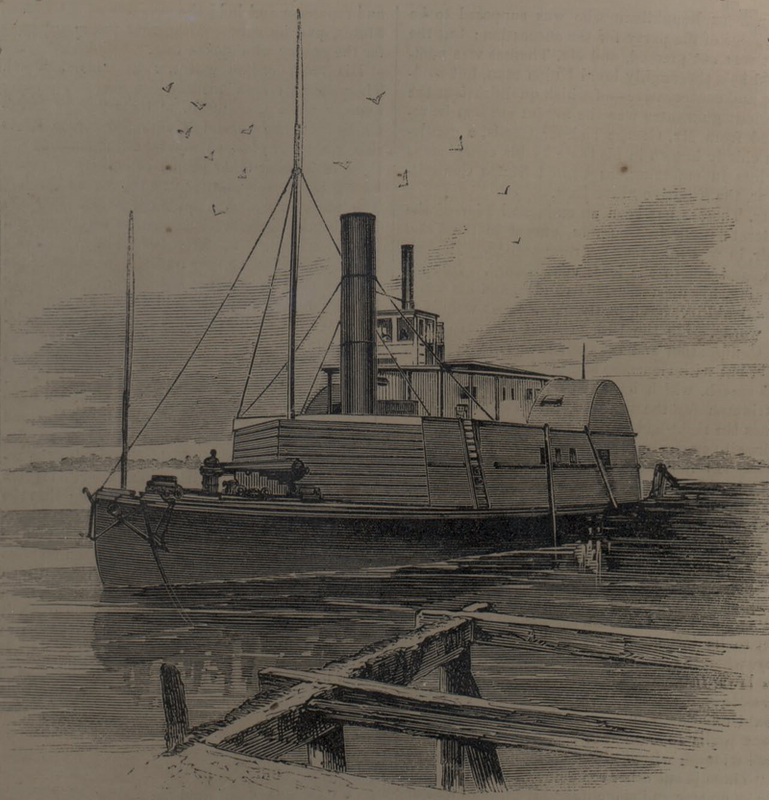 The steamship was now free of the Confederate forces, but not free from danger. As they approached the Yankee navy, they brought down the Confederate flags and raised a white bedsheet they hoped would be seen as a sign of their surrender. If the Yankee’s didn’t believe them, they would sink the Planter and all would die. The women were terrified. They were below decks praying for safety, praying the Yankee captains would give them a chance. Fog thickened, making it harder for the Union soldiers to be able to see the white flag. The possibility of being rammed and sunk was high. The Union ship, Onward, waited until they were within hailing distance and yelled for the ship’s name and their intent. John Frederick Nickels, Captain of the Onward,called for them to come alongside. Smalls and his crew may not have heard the command because they started to go around the Onward. Nickels commanded them to stop or be blown out of the water and Smalls and his crew came alongside the Onward. This daring escape led to the freedom of sixteen people, including Robert Smalls and his family. Robert went on to be an invaluable aid to the Union forces, showing them the strengths and weaknesses of the Confederates in the area and leading to the Union army being able to advance. He did many heroic things during the war and also learned much. Also, within a few months he taught himself to read. After the war, Smalls went into business with Richard Gleaves. They opened a store that would serve to help the freedmen. In 1868, Smalls went into politics. He was instrumental in getting education for the freed slaves. He served in both State politics and in National politics, being elected to the House of Representatives. 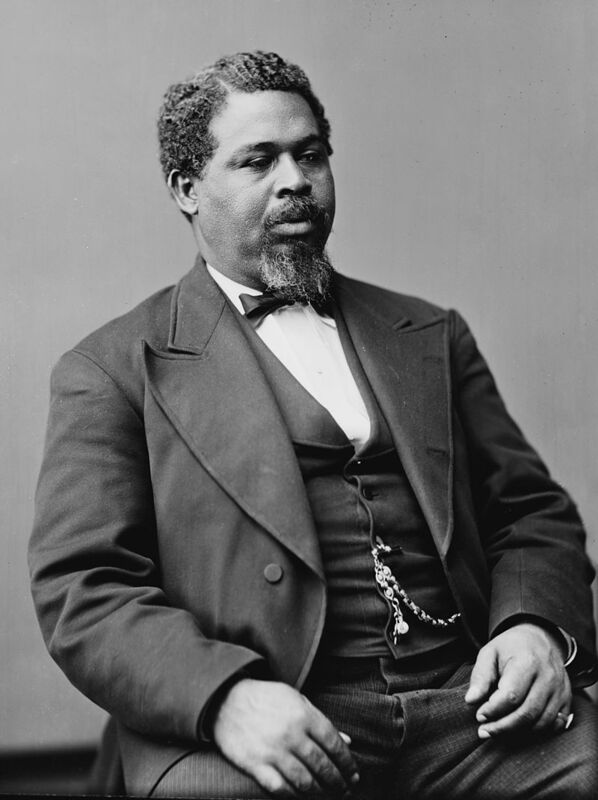 Robert Smalls received many honors. 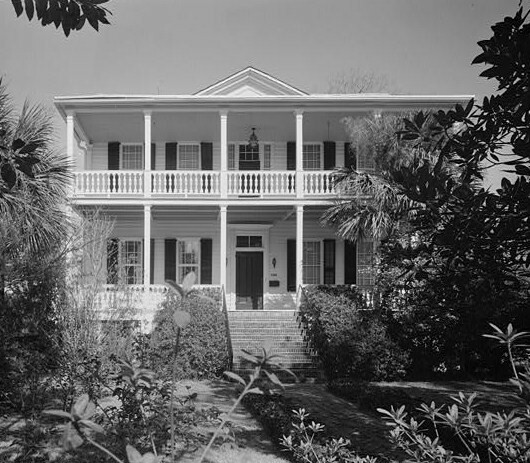 His house in Beaufort, SC is a historic landmark. In 2004, a U.S. ship was named after Smalls, the first one to be named after and African American. 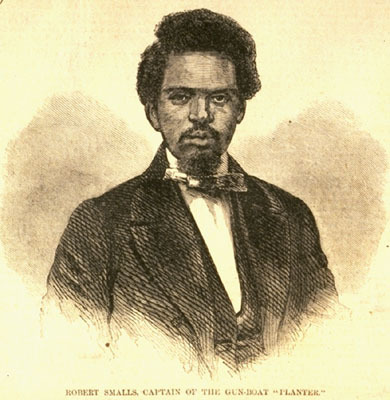 I found Robert Smalls escape on the Planterfascinating. His bravery and intelligence amazed me. There is much more I could have included in this blog, but the post would have been too long. What an incredible person. 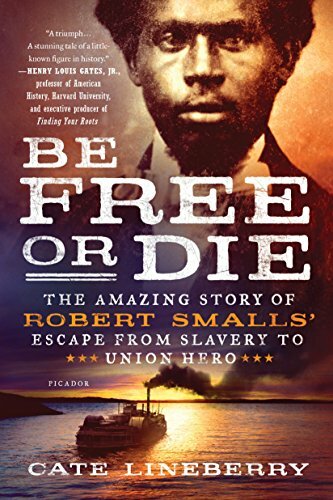 In doing my research, I found this book, Be Free or Die, released in 2017, that details Robert Smalls life and accomplishments. You can listen to an interview with the author here. You can see the book here. Wow! What a story! Thank you for bringing it to light here!! I enjoyed your post, Nancy. I never knew all the details. Such amazing courage and determination.